It’s the impetus for meltdowns at your desk, the cause of late-night trips to FedEx Kinko’s and that one thing your parents always ask you to fix for them when you’re visiting. It’s the frustrating, fallible printer. 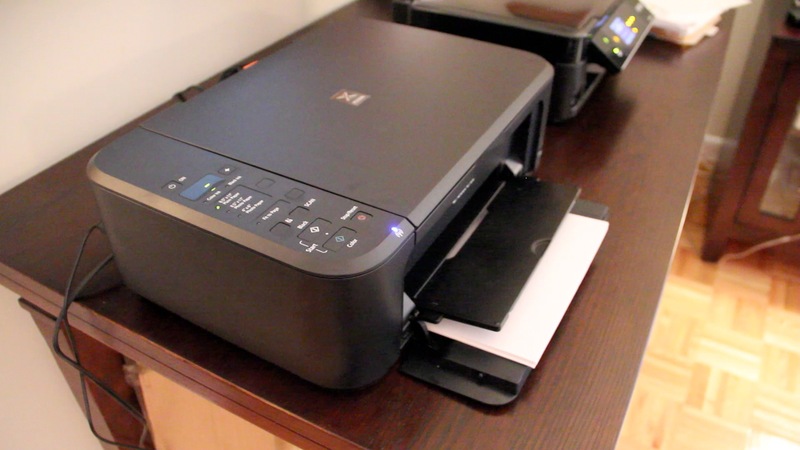 But not all printers will make you want to live a paperless life. For this week’s column, I’ve been comparing two Wi-Fi-equipped inkjet printers that go easy on your wallet and on your stress levels: The $80 Canon Pixma MG3220, and the Epson Expression XP-400, which normally costs $100, but I found at retail for as low as $70. Both printers came to market this summer, and are compatible with Windows and Mac operating systems. 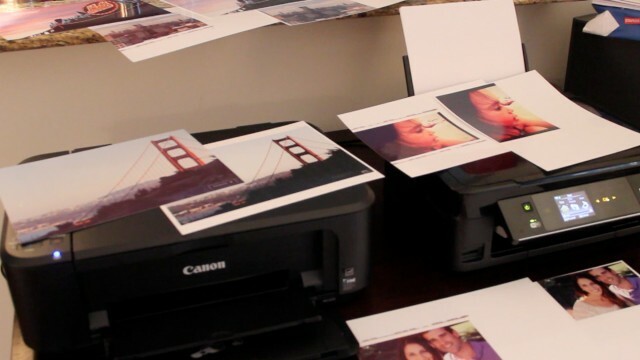 In addition to printing, scanning and copying, both work with mobile apps that let you wirelessly print the photos from iOS or Android devices — a must-have feature in the age of smartphone photo-snapping. 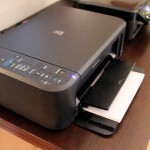 Other printers I considered, like some Brother inkjet multifunction printers and HP’s Photosmart 7520 e-All-in-One, offer similar features, but cost more. 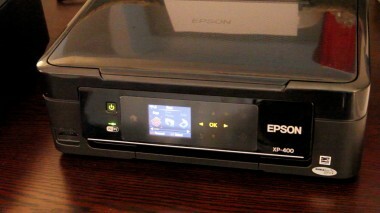 One of the printers I tested stood out from the other: The Epson Expression XP-400. I’d recommend this one for users who, like myself, mostly print work documents and personal paperwork with the occasional photo printout. It fit well on my gadget-covered desk, is the easier of the two to set up, and has an intuitive LCD screen that took the trouble out of troubleshooting. The Canon Pixma MG3220 is powerful and prints beautiful photos, but it’s bulkier and uses a confusing combination of letter and number codes to guide you through printer functions. The Epson measures 15.4 by 11.8 by 5.7 inches, without its paper trays extended in the back. It weighs just nine pounds, lighter than its predecessor, the NX430 printer, which I’d been using for a few months, before Epson quietly replaced it with the XP-400. The Canon measures 17.7 by 12 by six inches, and weighs 12 pounds. It’s a front-load printer, so its trays will take up even more real estate on your desk. 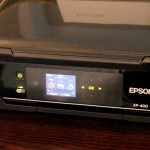 The Epson’s 2.5-inch LCD screen and capacitive touchpad help make the set-up process pretty painless. After a four-minute initialization process, I quickly connected the printer to my Wi-Fi network at home by typing in my password. I never had to look at the printer manual. The Canon claims a higher print speed, and in my tests, I found this to be mostly true. It definitely has a little bit more oomph when printing. The Epson, on the other hand, claims a higher print resolution. To my average-consumer eye, text and graphic printouts — Word docs, Excel sheets and logos — looked bold and crisp from both printers. The most obvious difference was in printed photos on glossy and matte photo paper. While I expected the Canon to totally trump the Epson when it comes to photo printing, the Epson held its own at first. A couple of photos the Epson spit out had truer colors, while some of the same shots printed on the Canon had a warmer hue. A printout of my 3-year-old niece on the beach came out looking oversaturated. A photo of me and my boyfriend sitting at a winery looked a little orange compared to the Epson printout. But after printing out a few dozen photos in various sizes — some raw photos, and some that had been doctored — I determined that the Canon printed better photos, ones that I would actually frame. The Canon especially shined with large, colorful photos, like the one I took of the Golden Gate Bridge, or the one of a giant Mets logo at the ballpark. I printed these photos over Wi-Fi from three sources: Desktop applications like iPhoto or Canon’s own desktop photo app; an SD card, which I could insert directly into the Epson printer (the Canon doesn’t have a card slot); and from my mobile devices, including an iPhone, iPad and an Android smartphone. To print from mobile, I downloaded Epson’s free iPrint app and Canon’s Easy-PhotoPrint app, also free. 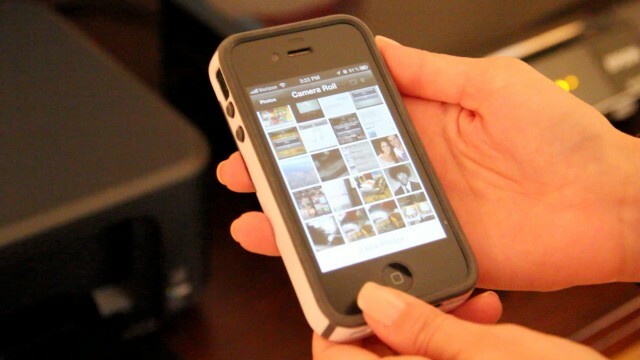 Both apps were straightforward and easy to use, though the Epson iPrint app always defaulted to the top of my iPhone’s camera roll, which means I had to scroll through 2,600 photos to get to the most recent ones. 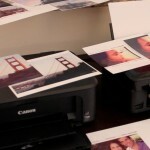 Naturally, printing lots of photos will drain your ink cartridges pretty quickly. The Canon, at 180 pages of text or 70 color photos for every standard pack of cartridges, has a slightly higher page yield than the Epson. The Canon cartridges will cost you around $50, though some refill packs can be found for less. The Epson’s standard print pack costs around $40 in most retail stores. Both printers take (more expensive) higher-capacity ink cartridges, if you plan to do a lot of printing. The function that almost gave me printer rage again was scanning. 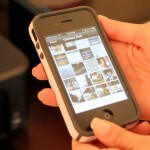 One feature that sets this Epson apart from earlier models is that it scans directly to the productivity app Evernote. But this isn’t listed anywhere among the “Scan” options on the printer. After asking the company about this, I found out that I had to first go online and install something called Epson Connect, then send the file from the printer to a created email account that feeds to Evernote. The company hasn’t put together a user manual for this feature yet. The Canon, meanwhile, showed me uninterpretable error signals again when I tried to scan, bringing me back to the list of error codes to figure out how to scan a single piece of paper.